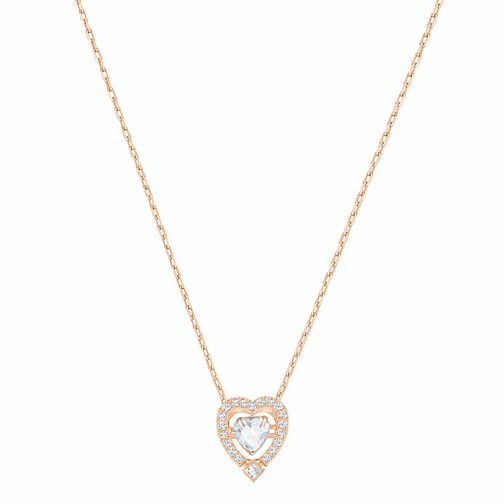 Boasting a feminine combination of rose gold plating and clear stones, this simple yet highly elegant heart pendant will inject a touch of style into any look. Swarovski Sparkling Dance Rose gold Plated Heart Pendant is rated 5.0 out of 5 by 1. Rated 5 out of 5 by Anonymous from This product is very ecpected Very beautiful. The size is suitable for me. But it hasn’t a Swarovski package bag .